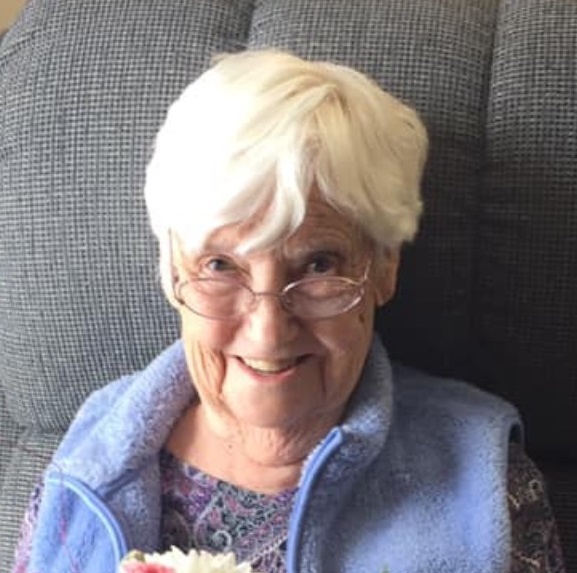 Beatrice Viola Nelson, 89 of Chippewa Falls, passed away peacefully, Monday, April 1st, 2019. She was born April 20th, 1929 in Iron River WI to Jessie Mae Bain and William Ferguson. After high school, she moved to Duluth MN and married Ralph A. Nelson. Together they had six children. She lived in Chippewa Falls since 1972 and worked in senior care until her retirement. She leaves behind her fiancé, Larry DeFrenn; her six children, Carolyn (Mel) Doherty, Larry (Fawn), Linda (Tim) Olson, Craig (Connie), Rick (Peg Floan), Brian (Michelle), 14 grandchildren and 25 great-grandchildren; special friend, Goldie Beighley; and many friends and neighbors. She was preceded in death by her brothers, Arthur, Eddie, and Peter Ferguson. The funeral service will be at 11 a.m. on Saturday, April 6, at Central Lutheran Church, 28 E. Columbia St., Chippewa Falls with a visitation one hour prior to the service at church. Rev. Aaron Sturgis will be officiating. Interment will be in Iron River City Cemetery at a later date.